A huge candy pink rose sits on a silverplated adjustable ring. Perfect accessory for the new season! * Ring is adjustable; good for most sizes. * Also in 'Mango' color. 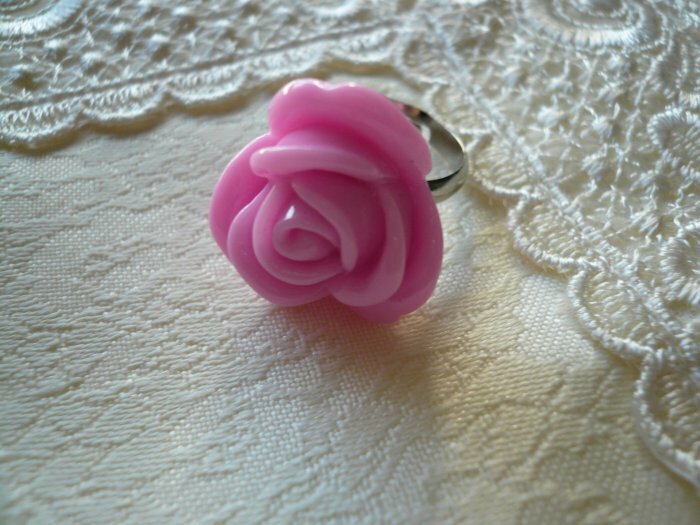 The Candy Pink Rosa Flower Ring will arrive gift boxed & be sent by Registered Airmail providing a tracking number. Thank you for visiting JewelFairy.